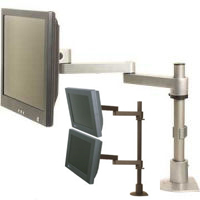 Mount one or two LCD monitors on the supplied pole with this space-saving mount. 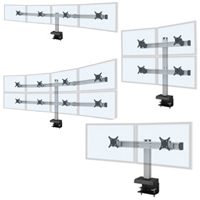 Position each monitor independently of the other, and quickly adjust pivot and tilt as your needs change. Set height at any desired position along the included 12" (30.5 cm) or 28" (71.1 cm) pole. A Universal Mount with 6 mounting options is included. Weight capacity is up to 45 lbs (20.4 kg) per arm and each monitor can adjust independently. 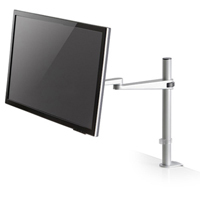 The arm is VESA-monitor compatible - 75 mm & 100 mm VESA adapters included. Click here to view the accessories. 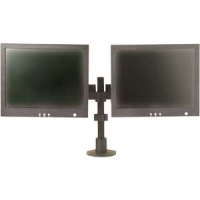 The Long-reach Side-by-Side LCD Mount from Innovative Office Products allows you to position two monitors side by side, independently of each other, in any direction up to 17.5" from the pole. 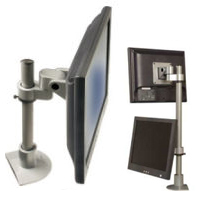 Reposition monitors with the touch of a finger, or adjust height along the pole as needed. This efficiently designed pole arm allows lateral extension up to 16" (40.6 cm) along a 12" (30.5 cm) or 28" pole which mounts using the versatile Universal FLEXMount. A wide degree of monitor tilt is available (over 200 degrees), including the ability to rotate the monitor from landscape to portrait orientation. Cables are retained using clips on the underside of the arm, keeping them out of view and out of harm's way. The Adjustable POS Through-Counter Mount from Innovative is a durable mounting system for monitors, signature capture devices, and kiosks. Ideal for retail use, the mount secures the monitor firmly to the counter and allows you to pivot and turn it to any desired angle - and lock it in position if necessary. The mount supports monitors up to 25 lbs in weight and has an adjustable height of 7" - 36" determined by the position of the tube (which runs through the counter in the mount). Also, it has internal cable routing, so that cables pass through the counter in the tube. 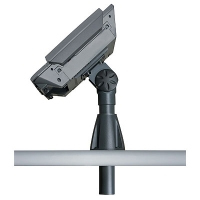 The mounting mechanism is VESA-monitor compatible - 75 mm & 100 mm adapters included. The Adjustable POS Countertop Mount from Innovative combines easy height adjustability with attractive design and durable construction for almost any retail environment. The monitor can be pivoted, turned, or locked into position for no movement. Cables are entirely hidden from view, passing through either the counter or the back exit of the mount. Weight capacity is 25 lbs or less. Experience the unique, practical and stylish EURO Series of LCD Arms. 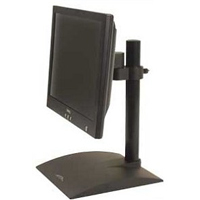 This LCD Arm features foldable arms which adjust vertically up and down a 12" pole (8" range of vertical adjustment). The arms can fold up to fit in about 3" of space and extend out 14". Various pole lengths and extensions are available or can be designed to fit any application you may be looking for. Unique cable management allows cables to be tucked under the forearm extensions. 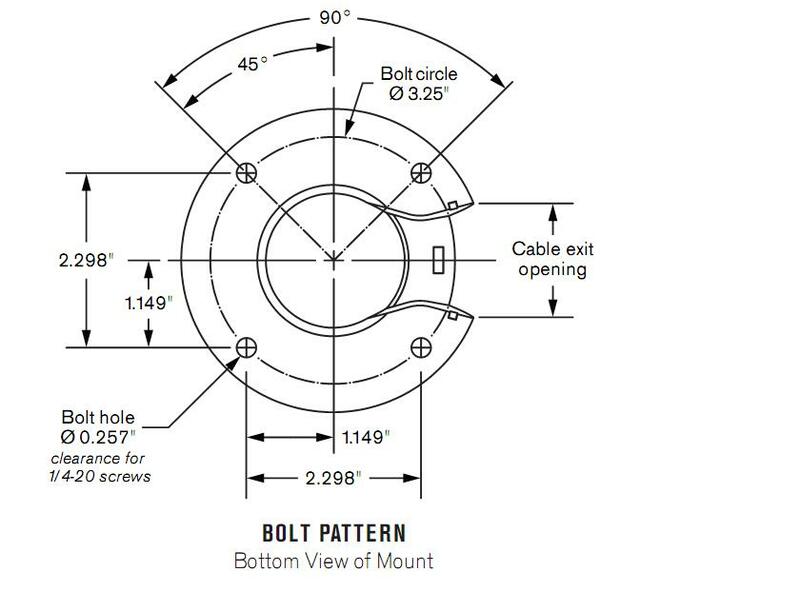 The Euro Series pole features eight notches at 1" increments which will provide a solid positive connection to position and secure the sliding adjustment clip. This clip prevents the arm extensions from sliding down, securely fastening the extension at the desired height. Mount 2 flat panels side by side with this space-saving mount. 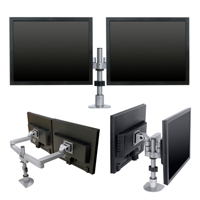 Position each monitor independently of the other, and quickly adjust pivot and placement as your needs change. Set height at any desired position along the included 12" (30.5 cm) pole. 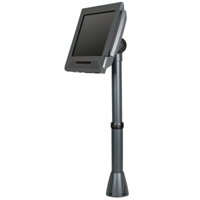 The D-28 model provides a 28" (71.1 cm) pole and will accommodate 4 LCD monitors (creating a 2x2 grid). A Universal Mount with 6 mounting options is included. 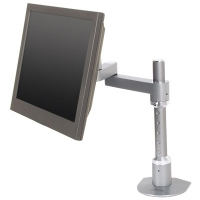 This arm provides 200° of rotation at two pivot points and its space saving design allows approximately 3" (7.6 cm) of space behind the monitor. A friction control system provides smooth adjustment while adjusting the position of the arm. Weight capacity is up to 22 lbs (9.98 kg) per arm and each monitor can adjust independently. The arm is VESA-monitor compatible - 75mm & 100mm VESA adapters included. This is a LCD mount with a free-standing base - letting you set it up instantly. You can easily adjust the height and angle of the monitor along the 14" pole which extends upward from a heavy duty 10 lb base with a 9.5" x 10.5" footprint. The 90° rotating pivot feature allows you to view the LCD in either landscape or portrait orientation. The dual model positions the monitors one above the other. This stand will support up to a 45 lb monitor. The mount is VESA-monitor compatible - 75mm & 100mm VESA adapters included.